Silk single bedding: Naturally hypoallergenic and clean, dust mites cannot live in silk. 100% pure luxurious mulberry silk filling and nothing else. 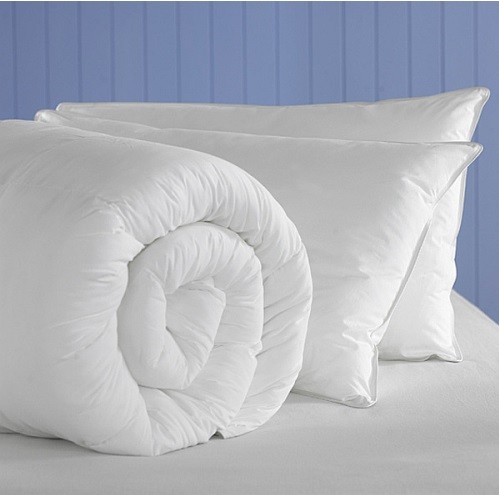 300 thread count cotton sateen cover for softness and durability. Choose what weight filling suits you best: light, medium or deep. Our luxurious single bed silk duvet is perfect for people with asthma, eczema and hay fever. Dust mites that live in your bedding cause symptoms to flare up as you breathe in their droppings during the night. Fortunately, this silk duvet is naturally hypoallergenic because dust mites cannot survive in silk. 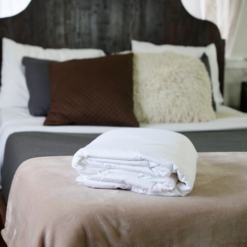 Silk covers are completely immune to dust mites, dander and mildew so you can have a safe, sound sleep.